This tells the story of two children born in the year 2000 on two different continents and in two different realities. Their changing biographies reveal the great socio-cultural changes that await us beyond the old industrial society. A mix of science fiction and nonfiction, it portrays the new global knowledge society in which we will spend our future. 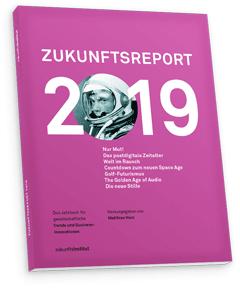 How We Will Live is at the same time an attempt to bring modern trend and future research to the latest methodological level. It takes a holistic approach, using the insights from the new interdisciplinary sciences such as neurobiology, psychology, cognitive sciences, system theory and sociobiology. 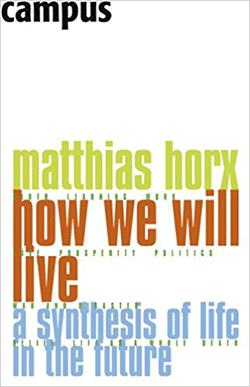 For Matthias Horx’s books in German please visit: Bücher – the corresponding page in German.